One of the my pal Frederick told me a story about one day he needed to entertain an out of town guest for a taste of food that would reminds the guest back home from Japan. 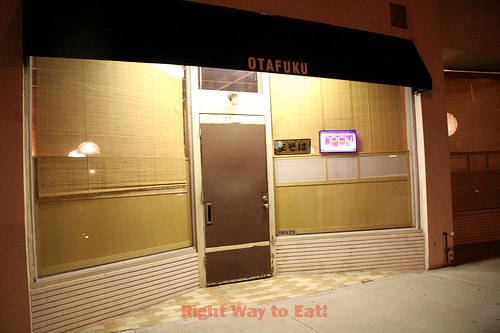 Frederick at first was going to suggest and take his guest to a few spot popular in Gardena and Torrance, but the guest would rather come to this non-descript place because a popular Japanese tour guide recommended this little hole in the wall as the place to visit. Needless to say, my pal was hooked and I have since was introduced to this place based on a recommendation from a tour book. 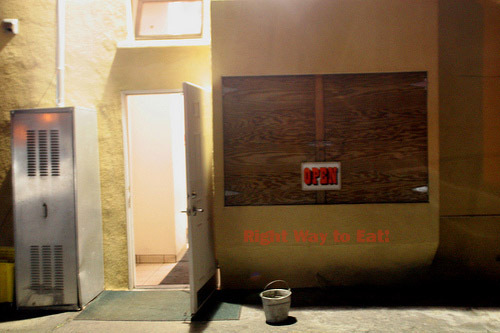 In order to enter this noodle shop/Izakaya place, you have to enter from the back parking lot as front door is serve as a decoy entrance with the door being pad-locked down. I don't know why as maybe it deters people from the street to open the door for a lookie-loo. One of the few things I learned about this place was that they served a mean soba noodles. 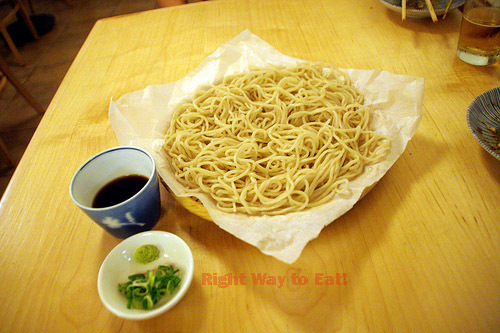 My previous review of Ichimian can be a fair side by side comparison on who takes the nod as the top place that serve the best soba. In that review, I did proclaimed Ichimian over Otafuku as the place to go for this chewy flavorable noodle. However, I do have to point out that this small enchanted place that looked like a cozy Izakaya in a small village does served other items beside the noodle dish that attract a full crowd at any given night. I think the small skewer items on the menu and other tapa like dishes of Izakaya are some of the big reason for the establishment's popularity. My two favorites were the Japanese Black Berkshire pork cutlet and their handmade cold tofu. Single-handedly, I can eat the pork cutlet dish by itself. 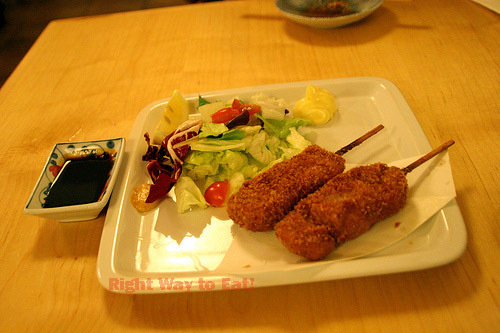 Nicely breaded and with the right amount of sauce, the cutlet was one of the better piece I have had. Nice too tough and definitely the breading was handle it correctly without falling apart. The handmade tofu was one of my favorite at this location. 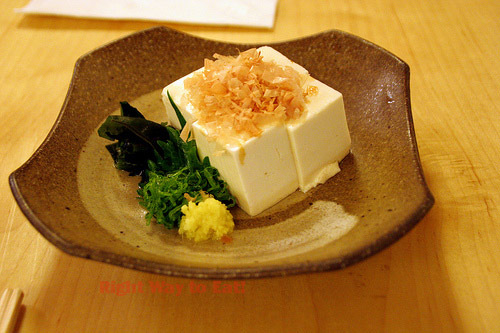 It is on par with another my favorite Agdeshi tofu at Izakaya Bincho as being the most refreshing tofu in town. 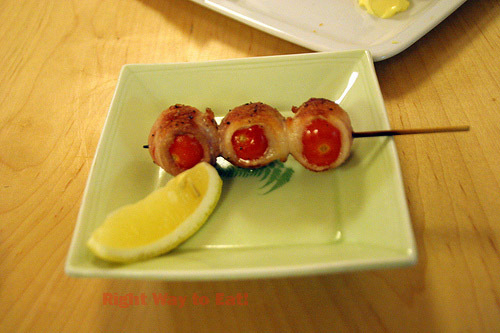 One of my dining companion's favorite dish of the night was the tomato skewer wrapped by a thin sliced of pork. I can see why he raved about it as it is not a fresh piece of fruit being wrapped about everyone's favorite savory dish....a piece of bacon. In fact, what doesn't go with bacon these days? 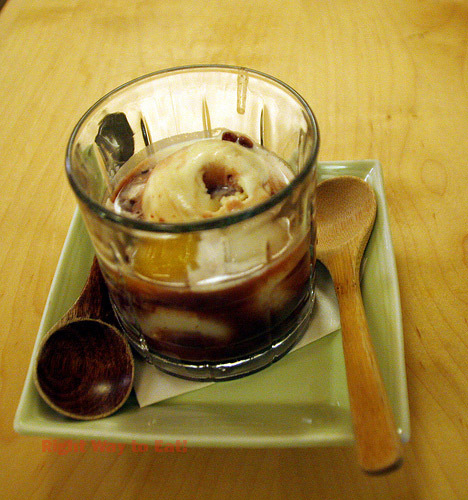 It's too bad Otafuku didn't have too big of a dessert section other than the traditional ice cream. 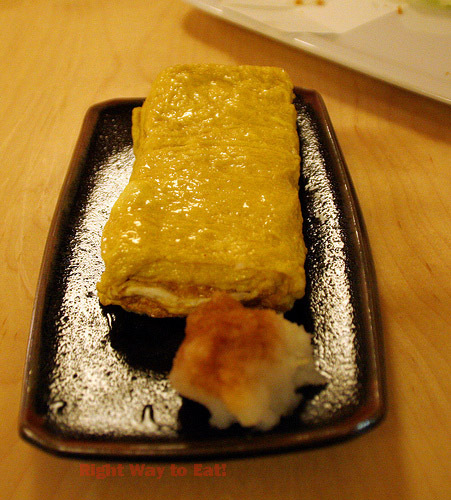 I think majority of the dishes we had that night was something I would repeatedly order or suggest to others including the soba and the Japanese egg omlette. If the soba was the main attraction as it was often publicized for the place, I would give them kudos for that. If it invloves the Izakaya section, then it's a must go. You shouldn't missed both if you get that chance. Too bad for me, it took a Japanese tour book from a friend of a friend to get me to come here. It's been a while, Mike. Keep it going! Thanks! Did you like the new Wolfgang restaurant in DTLA? How was it?